Rome – Hostels in Rome. Maps for Rome, Photos and Reviews for each hostel in Rome. Looking for a hostel in Rome? Look no further, all the good deals in Rome are on Dorms.com. Like thousands of other people every month, book your hostel securely at the best price in all neighbourhoods of Rome. 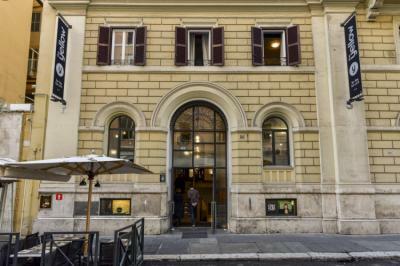 On this site, you can easily find a hostel downtown, in a trendy neighbourhood; a hostel in the student- university district, close to bus or train stations, airports or major attractions of Rome. 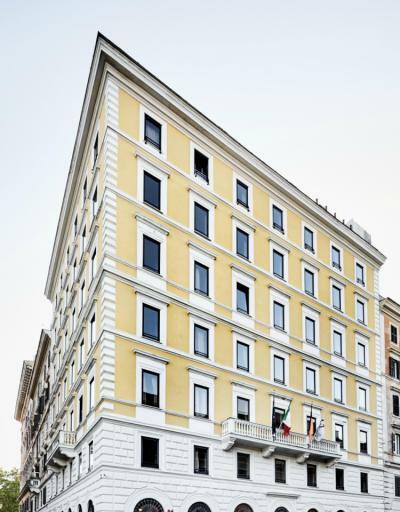 Rome's Via Nazionale shopping district is 700 m away, and it is a 15-minute metro ride to the Vatican City. Central Station is a great choice for travellers interested in history, architecture and sightseeing. Shops and supermarkets can be found in the immediate surroundings. Central Station is a great choice for travellers interested in history, architecture and sightseeing. the only advantage is its position near the station, and then nothing else. The shower room black and small. Plus, she feels really bad. One of the locks broke down. The hostel is in a building near the street, very noisy at night. There is only a small window, little fresh air. The room is humid, dirty. We met the break of the electricity for the whole night until the morning of the second day without explanation. This made us very uncomfortable for a trip without drumming. I do not recommend at all. Catastrophe! First of all very convenient to Termini station, 24 hour check and very friendly and helpful staff! It was my first dorm experience, I would say more than positive! Excellent cleanliness and hygiene of the room, bathroom and kitchen! I was not disturbed by noise during the night .. highly recommended! Located near Termini station is, among the hostels I frequented, certainly one of the best in terms of security and hospitality, excellent value for money. Near the train station, excellent reception, very clean. By cons the street although little busy is noisy (because of the restaurant next door). Very good hostel. Perfect home. The nearest airport is Rome Ciampino Airport -12 km from Ciak Rooms. San Giovanni Metro Station - 0.2km, Basilica of Saint John Lateran - 0.3 km, Coliseum - 1.5km, Roman Forum - 2.1km, St. Peter's Basilica -4.9km Trevi Fountain - 2.2km Atmospheric sunsets from Rome's Palatine Hill - 1.6 km Rome – the Eternal City -2.5 km Ostia Antica - 22 km San Giovanni is a great choice for travellers interested in roman ruins, art and ancient landmarks. Near the Hostel there is a swimming pool (for a charge ), sauna and turkish bath. Ask at the reception for prices and information. Rome Termini Train Station is 4 km away Ospedale Nuovo Regina Margherita, Testaccio and San Francesco a Ripa are all 700 m away. Porta Portese market is 3 mins walk. Basilica of Santa Maria In Trastevere, Piazza di Santa Maria in Trastevere and Ospedale San Camillo are 1 km away. Rome Ciampino Airport is 30 mins and Rome Fiumicino Airport is 45 mins by car. 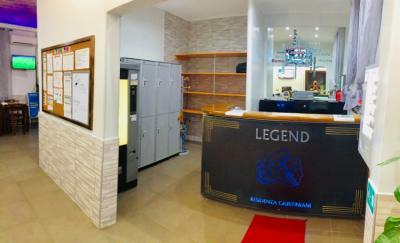 We had a weekend in Rome and are delighted to have stayed at this hostel! Not expensive, well located and Gianni is a great host (which in addition speaks very good French!). Very kind staff and perfect location to explore the city, close to the subway station S. Giovanni, just an hour to the Ciampino airport. Torneò for sure! Manager available but 100 bites of bed bugs / fleas all over the body are not tolerable! Friendly staff, clean accommodation and good location! great location, its close to almost everything necessary. The rooms are really nice, like nice nice. The staff are friendly and helpful. And the food was great! The neighbourhood surrounding the hostel offers every service which may be needed during your stay including restaurants, pizzerias, open air market, supermarket, launderette, internet caf., bars, pubs and all are at reasonable prices for the budget traveler. Located within walking distance from the Colosseum, the iconic ruins of Palatino and the picturesque area of Monti. A few short metro stops away you can explore the historic Pantheon, Trevi Fountain and Vatican city. If you fancy something a bit calmer, check out the beautiful Garden in Piazza Vittorio Emanuele II located just around the corner. Generator is the perfect launch pad for you to explore the city from. Very well placed, close to the train station and clean !! Bueno, sino estás buscando mucho lujo y limpieza, excelente. At the arrival, I paid a little more than what expected because of a tax to sleep in Rome which was not specified. I would have appreciated that they told me exactly how much I had to pay at my arrival. Then I thought breakfast was included but it was not. Unfortunately, I found out when I already took to eat so I had to pay but 7,5 euro for the breakfast is too much in my opinion. It's much better to have breakfast outside where for the half of the price you can get a much much better breakfast. If I had known before I would have never taken the breakfast at the hostel where the quality is nothing special. I would have appreciated that at the reception at my arrival they would have specified this aspect which was not very clear to me. The lady who was in charge to check the breakfast ticket was also very rude. The ladies at the reception, on the contrary, were very nice. the hostel was very clean. Great atmosphere in the hostel in Rome. I like they make it easy to meet other travellers. Clean dorms as well. This hostel is super clean, safe and the staff fantastic. I recommend. 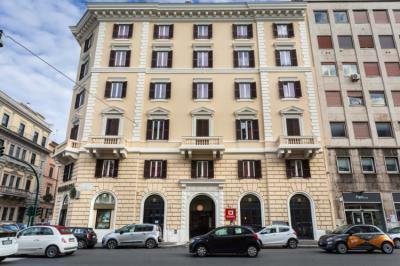 This hostel is located very close to the main train station Termini and therefore has extremely good transport connections to all over the city. Within a short distance of travelling you can get to the Roman Forum, the Colosseum and the Spanish Steps, to name but a few of the famous sites. We have space, the room clean and well located. Centrally located, close to transits, with kitchen, kind staff, clean and spacious! more like a hotel. Its a clean and spacious hostel. For 10 euros, you can have a late check-in. 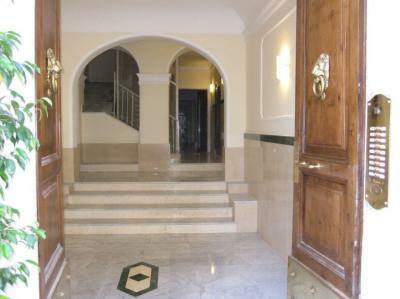 Location is great, close to central and also close to a subway station. Good food, good price, good staff. overall, a good stay! Impeccable cleanliness, friendly staff and above all a crazy atmosphere in the bar of the hotel. I recommend ! 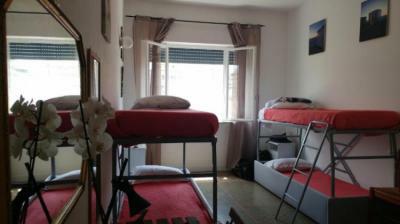 Very friendly and cheerful staff, dorms and private rooms calm and clean, well equipped. The hostel has a bar with chancellor right across the street, a great hostel! The hostel is clean, well organized, interesting activities offered (including the guided tour of Rome). The welcoming staff. The hostel is well placed ready for transport. 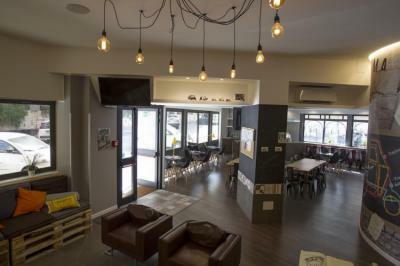 The bar associated with the hostel is perfect for meeting people.